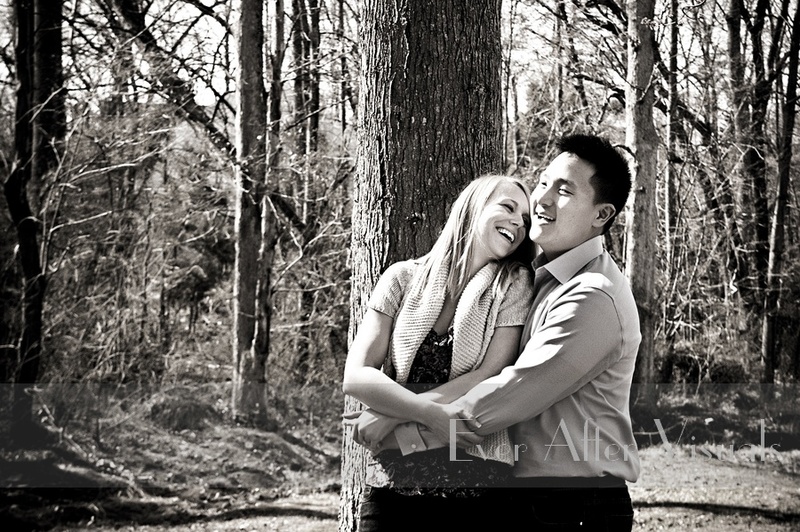 Engagement images usually take place before the Wedding day. 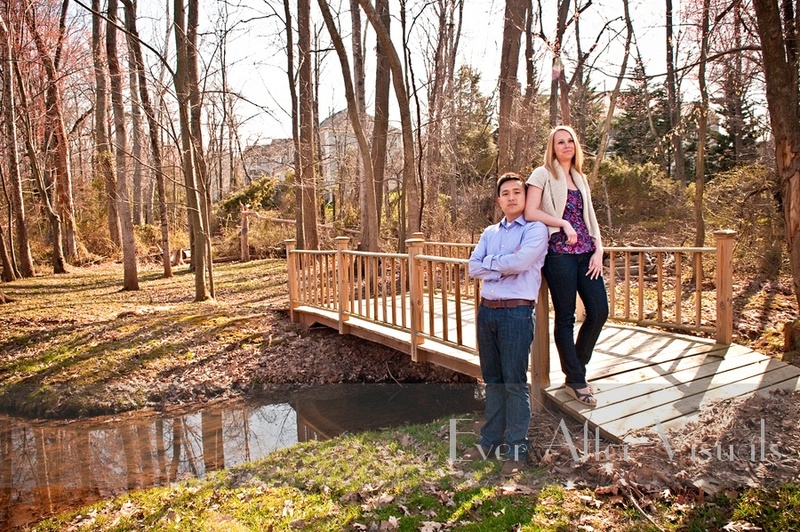 Ashley and Patrick chose to have their engagement photography done in the suburbs near Washington, D.C. in our fabulous Northern VA outdoor studio. 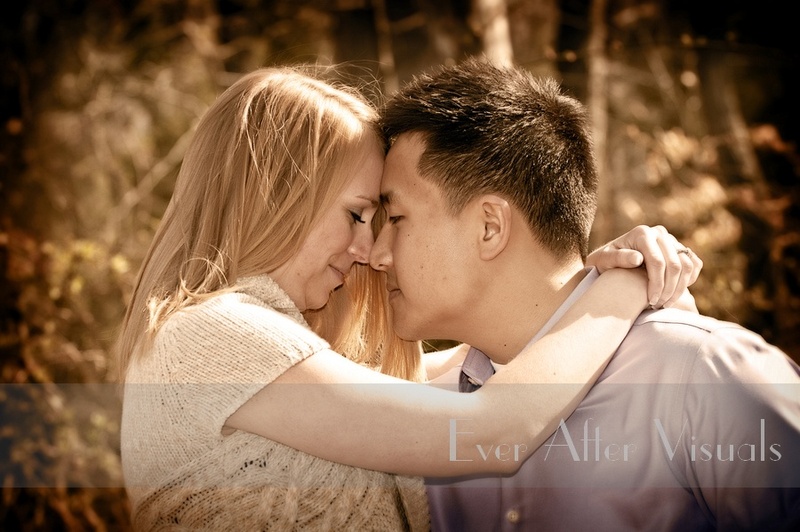 We also do Weddings and Portraits in the Washington D.C. metro area. 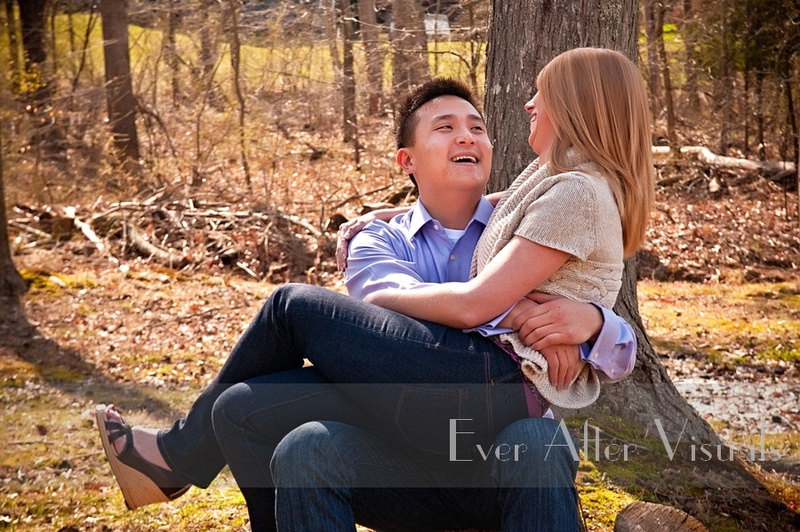 So, I had a little bit of a harder time than usual picking out a song for Ashley and Patrick’s engagement montage. Now, yes, I could have easily used a boring love song that can possibly describe every couple on this planet, however, I wanted it to be really special and unique to them especially since I know how important music is to them. 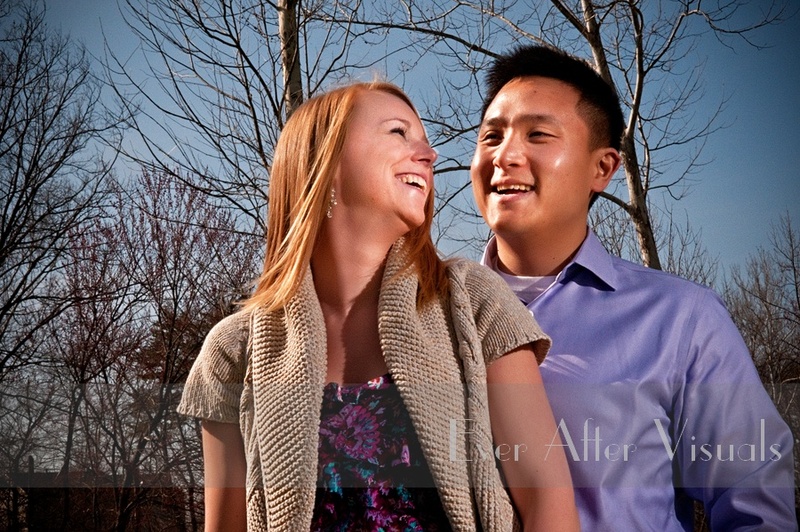 When we first met with Ashley and Patrick, we hit it off right away. Not only were they the coolest couple, but we liked the same music! I know this may not seem like a very big deal but you try finding someone who knows bands from ‘The Used” to ‘The Maine’ all the way to ‘Mayday Parade’. And it’s even harder to find TWO people that love that kind of music. Suffice to say, we were in love with these two. We kept our fingers crossed hoping that Patrick and Ashley would choose us to photograph their wedding and ta-da, they did! I can’t even begin to say how excited we were! 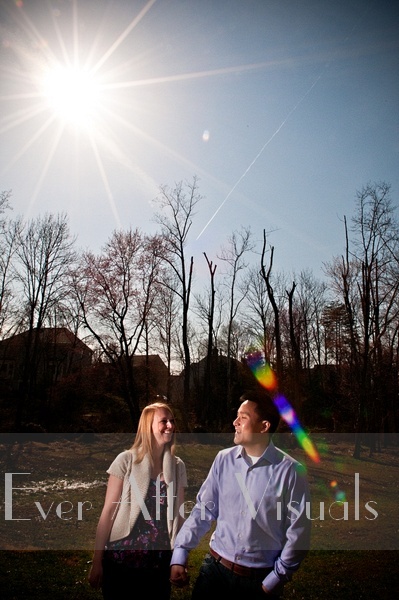 The engagement session was awesome. The weather was perfect, and the images, if I may say so, turned out amazing! We couldn’t have done it without a laid back couple like Ashley and Patrick who were content to let us capture the essence of their love for each other. Isn’t their ease with each other shown in the love on their faces? 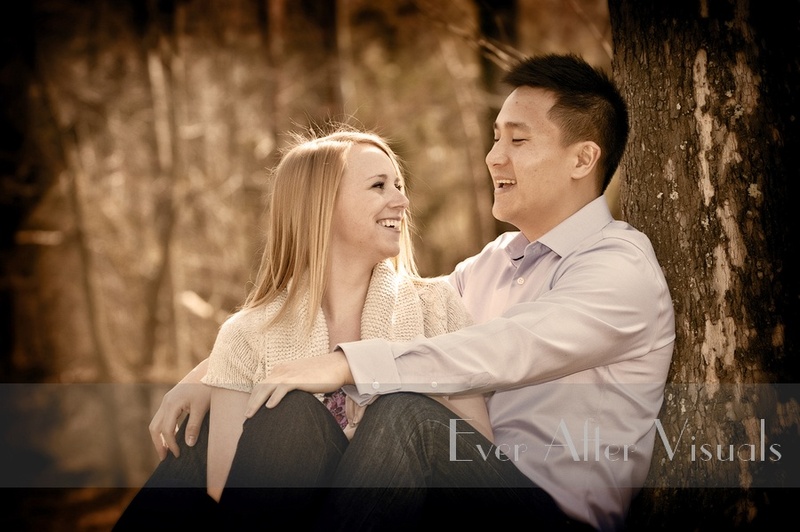 The song I chose for their engagement slideshow is: Your Song by Mayday Parade. It’s not a traditional love song but I thought it fit because I know that bonding over similar music choices was a big reason Ashley and Patrick fell in love with each other. This song tells the story of two lovers who can’t wait to one day be united forever. Poetic, right? Since the wedding day is fast approaching! Now, that brings us to the present day. The engagement session is done. The guest album designed. 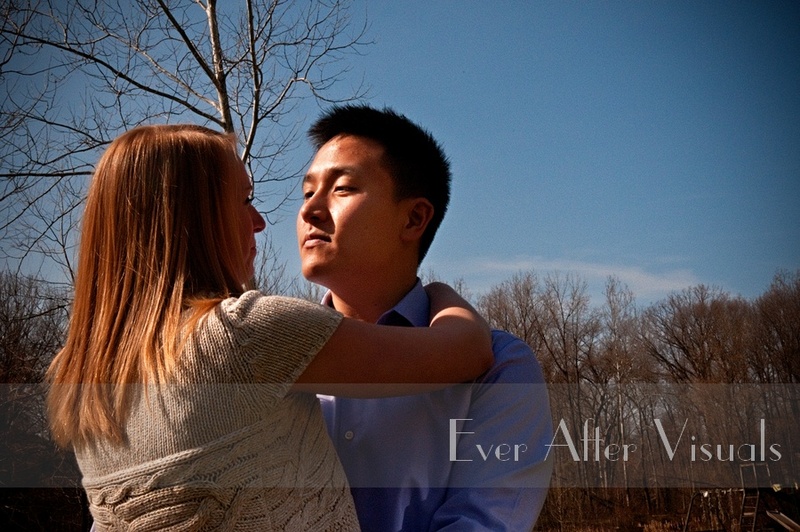 The last thing we have to do is share our vision of what we saw when we documented their love story! Ashley and Patrick, weI really, really hope you like not only the song but the images we were able to capture of you two just being yourselves (in love). Like our cool outdoor photo?